Google’s Material Design has reached way beyond what many designers predicted at first and is now a commonly used design standard for developing mobile websites, Android applications, and also desktop software. 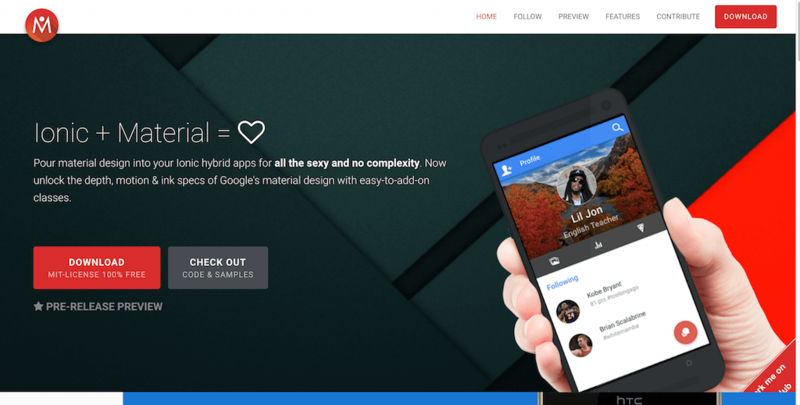 Google even went as far as implementing the native material design application into its own website builder; one that used to look fairly ugly and sluggish just recently, but now is capable of producing incredibly beautiful websites. You shouldn’t blindly follow guidelines because someone says it is the right thing to do. Your own judgment as a designer is your best asset for making real and unique projects that stand out. Take from material design what you feel is going to compliment your ideologies already, then create a build-up from there. You can use your own personal choices to further perfect the design experience. Google has certainly got a knack for discussing and researching world-class User Experience and User Interface elements, but when you think of it — your project is unique, your audience demographics and types are unique, and sometimes you’ve to follow those steps to create a design that brings out the best values of your business or project that you’re building. 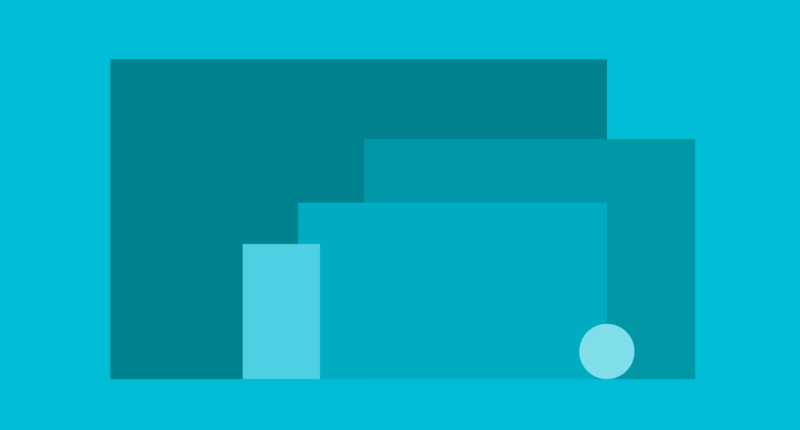 The frameworks you’re about to learn more about are the perfect solutions for trying out Material Design. Perhaps the best way to go about it would be to create a side project that you could hack away during the weekends, this way not disturbing you from your main workflow, and then if you feel that there’s some connection there, start creating roadmaps of how you can implement material design in your apps/websites in the future. If we missed out on any important/useful frameworks for this roundup, give us a mention in the comments and we’ll take care of it. 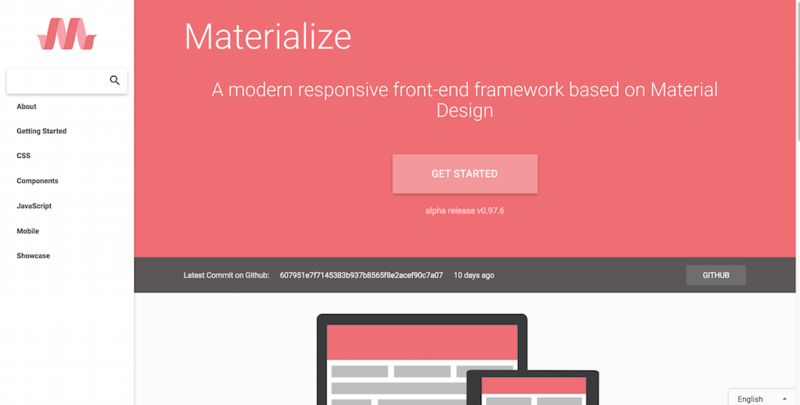 Materialize is a full-fledged front-end web development framework based on the material design specification, it is one of the leading material design frameworks as it provides a speedy, centered, and easy to navigate core for rapidly prototyping modern websites. 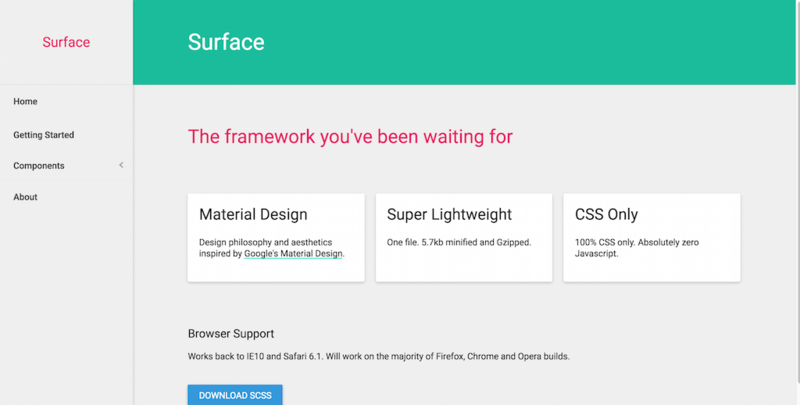 The framework takes what material design has to offer and neatly puts it together into a single framework that makes all the elements accessible quickly and without fuss. Feedback based components are going to improve your user experience drastically as users can understand the meaning of individual design elements better. And since this is a framework, you are going to expect to see some CSS functionality like grids incorporated, and that is right in this case, Materialize provides you with colors, grids, helpers, media management, sass files, table management, typography optimization and element shadow optimizations so that you can rapidly create a skeleton of what you wish to build, and then use the optimized MD components to bring your design to life. Are you an active Swift developer, but not sure how you could implement the material design in your Swift apps? Material from CosmicMind takes care of all that, effortlessly. With this Swift Material framework/library you can utilize MD components and have full configuration access them, there are provided grid layouts that would typically be required by complex mobile application interfaces, you get the standard layers and views which can be used to craft unique UI components. Other features include the ability to control navigations, material design icons, buttons, cards, switches, and a menu system for building animated navigation menus. 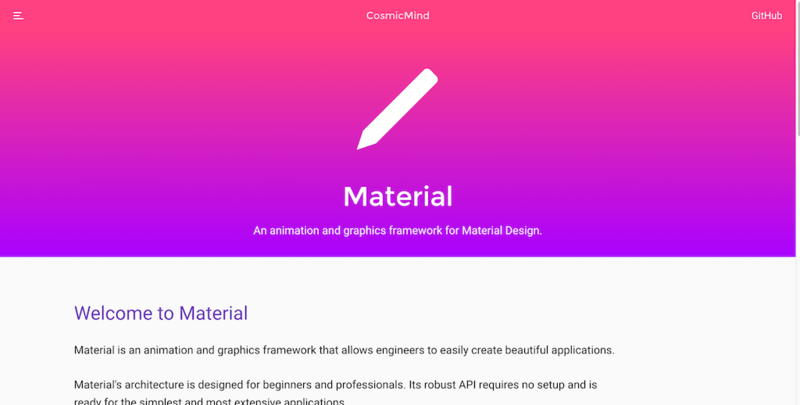 Swift Material actually calls itself as an animation framework apart from being a traditional mobile app framework, and it does a wonderful job at allowing developers to build layouts that depend on smooth animations to enrich user experience. Different animation effects can be used like adding a ripple to your existing forms to create a more meaningful user experience. Typographic layouts can be customized to your own liking, and you can adjust the appearance of content as it would best fit your other design elements. You can change your existing styles to use design specification for buttons, inputs, toolbars, icons, lists, menus, card designs, and things like toggles. It’s not hard to get it up and running, and could potentially be a nice way for you to test if your users would appreciate material design at all. Essence combines two things: Material Design & React.js — if you’re seeking a fast web performance with an optimal design specification, it will be hard to match what Essence is offering for all developers. All of the UI components that material design has to offer are rebuilt through React.js if you decide to opt for Essence! The final result is a stunning user interface element choice that’s going to create a unique user experience. Essence is readily available on the NPM so you can install and get going with a simple install command. Components will need to be installed and utilized separately, but everything goes under the same folder regardless. 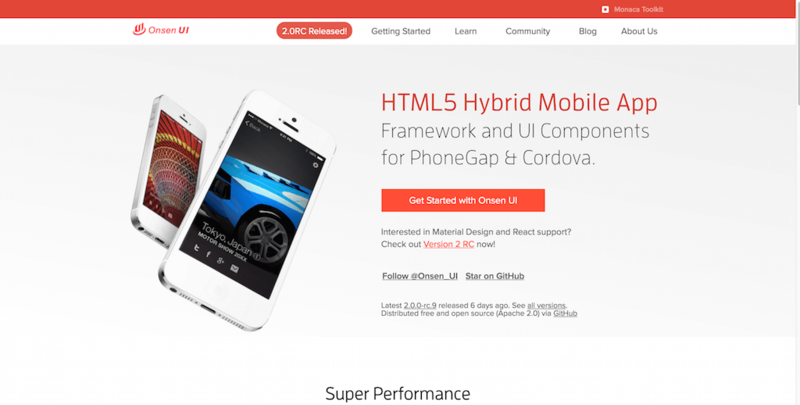 Onsen UI has many miles of the reputation for being one of the best hybrid frameworks for building mobile apps using HTML5. This open-source platform is completely free and always has been, the modern understanding of good design has helped Onsen UI developers to create user interface elements that end up building unmatched user experiences. As an agnostic framework, you can use Onsen with literally any other framework out there and not worry about any code collisions or issues whatsoever. This is also what’s happening in the new Onsen UI V2 — they’re integrated Material Design, Angular 2 and React components to further enrich the experience. At the moment still a release candidate, but is being used by thousands already. If you have been meaning to launch a mobile product or get into mobile software development, learning how to use Onsen UI could add some extra leverage to your resume. Material CSS is a lightweight alternative that uses attributes for defining styles, instead of using classes. This makes for an easier development workflow and certainly, makes it much simpler. Because of the minimal nature, you’re literally going to be playing with the components themselves mostly, those include colors, typography, shadows, ripples, icons, inputs, forms, buttons, media, cards, panels, toolbars, lists, pages, and helpers. 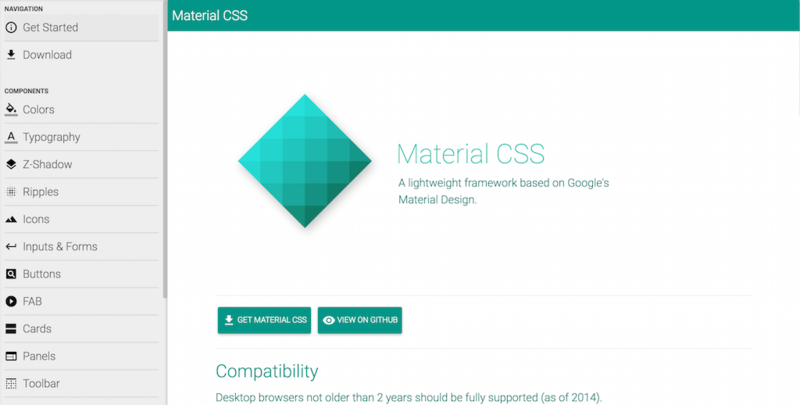 Material CSS thoroughly explains each specific component in the documentation as to how you can use it. 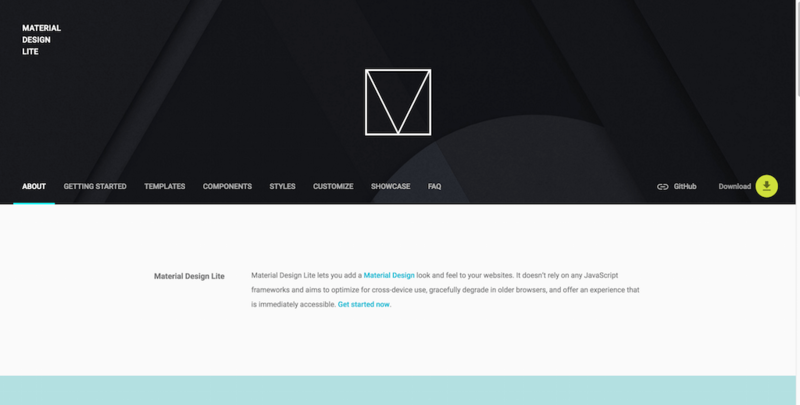 Material Design Lite yet another lightweight solution for optimizing your designs with a material specification. 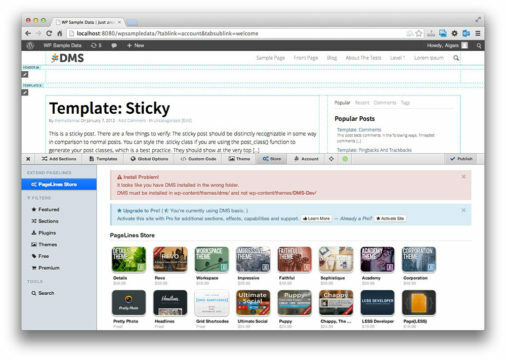 Easily works on websites that rely on static content, but won’t be a problem to implement in dynamic sites either. It’s an independent CSS library that doesn’t require any external resources of any kind to function. With a multi-device optimization inbuilt, it will naturally downgrade if an older version of a browser tries to access the site. 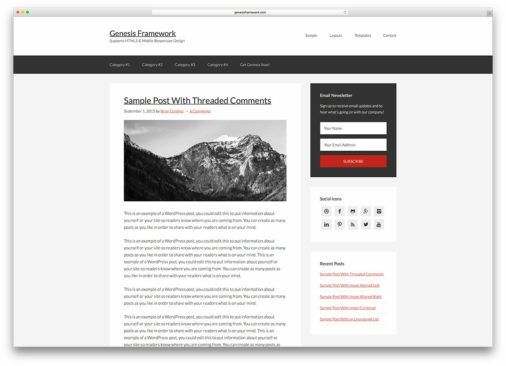 You can choose between templates like the blogging template to get your blog started or use the lite version of the theme that Android official website is using, there are also templates for dashboards to implement behind your website, a modern portfolio to show your best work, and text optimized templates for content pages. All other stuff like components and styles is what you’d already expect from a framework that uses material design. 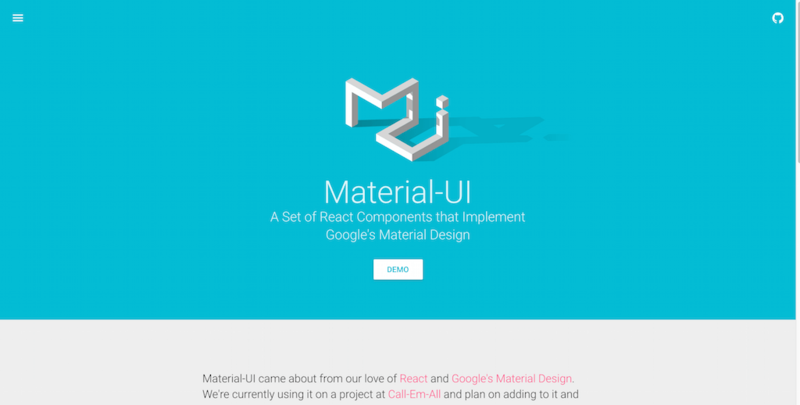 Material-UI gives you a selection of React.js Components that they already customized from the Material Design specification. There is a single most important thing about Material-UI and the idea of using it. You should first learn a little bit more about React.js and how it interacts with the web and mobile generally. Because the components are based on React, it would be wise to understand how React is seen in web development and the kind of role it plays in it. Material-UI team has been kind enough to provide a choice of templates too, dark and light, and both provide an example of how different components and elements fit into the grid. Some previously unseen components include application bars, autocomplete for forms, avatars, badges, chips, datepicker, dialog boxes, dividers, menu drawers, grid lists, text fields, time pickers, and different varieties of toolbars; and these are just a few of the components that are readily available in this framework. 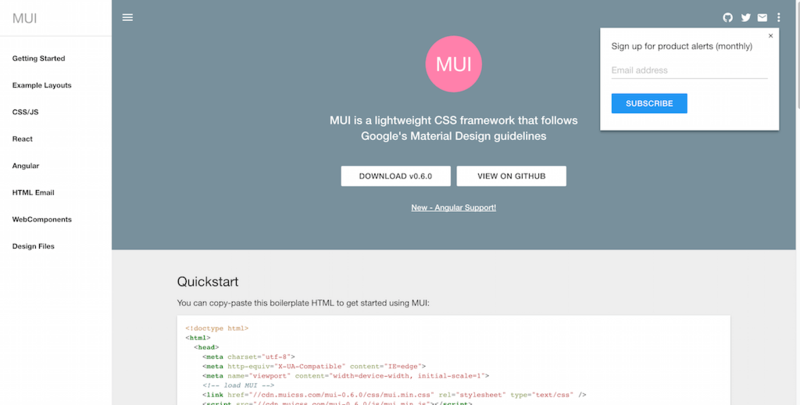 MUI is a rich lightweight CSS framework that spices up your designs with Google’s material design. It provides its users with different types of demo layouts: blog, landing page, slider menu, and HTML newsletter subscription box. From these demos alone, developers can learn how efficient material design is, and how easy it is to implement it. MUI also works with React.js and Angular.js frameworks so you can plug your apps with the material without any hassle. There’s also different individual web components, all ready for use. 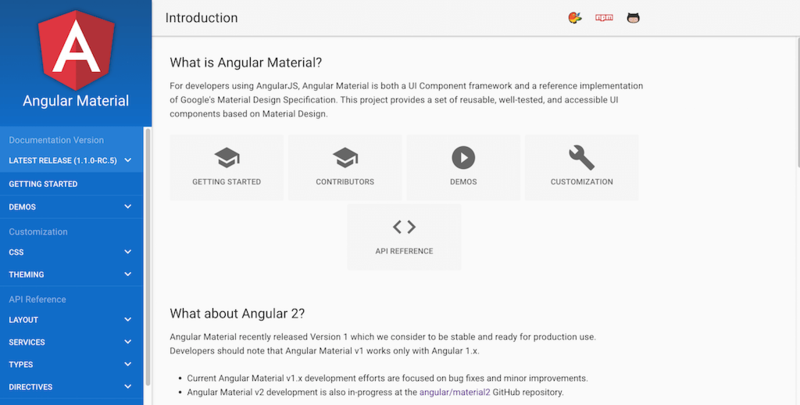 Angular Material is the official release of Material UI for Angular 2 projects. You have a thorough and concise documentation page. It can show you how beautiful your apps can look when infused with the Material user interface. All components are provided with deep examples and additional options. With this, you can get the most out of what this framework has to offer. An API documentation is provided for seasoned developers who want to take the material to the next level. Bootstrap is without a doubt a favorite for many of the world’s front-end developers. Bootstrap empowers millions of websites today, and millions more are yet to come. 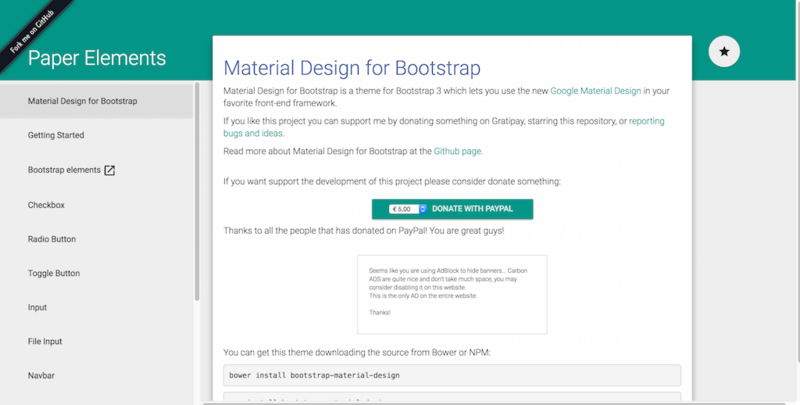 Material Design for Bootstrap is an efficient Bootstrap theme that uses material design to create spectacular design experiences. 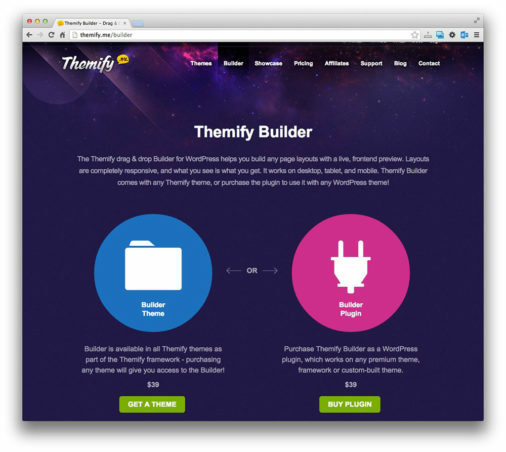 You get to choose from all your existing, most favorite, Bootstrap elements. Also, you can have them optimized with the UI of material design, how great is that? It might require a little bit of tinkering to get it going for those who haven’t used NPM before. The documentation seems to explain the start-up process fairly well. 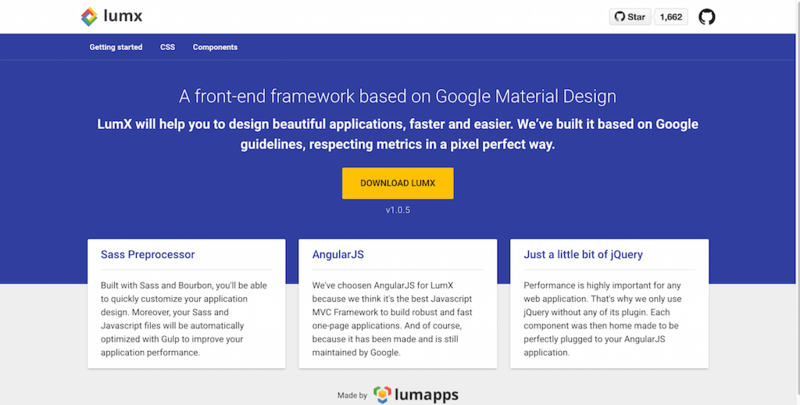 LumX is the first responsive front-end framework based on AngularJS & Google Material Design specifications. It provides a full CSS Framework built with Sass and a bunch of AngularJS components. In order to use LumX, you will need to know how to use Bower for installing libraries. If you aren’t familiar with Bower, your other alternative is to download all of the dependencies individually. Those include Angular, jQuery, Velocity, Moment, Bourbon, and Material Icons. LumX also employes Flexbox in order to create standardized and responsive grid systems using the Flexbox property. LumX Components cover any area and part of a traditional website layout design. 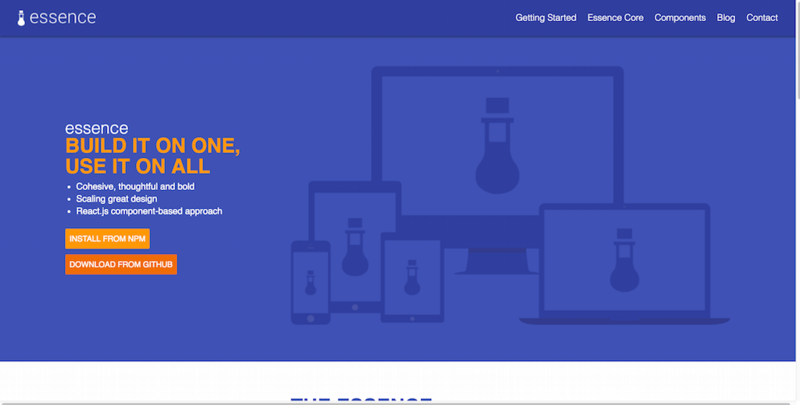 Ionic is the ultimate hybrid framework for building HTML5 mobile applications. And now all that remarkable power is possible to be brought to your apps with the infusion of Material Design! Ionic gives you already built layouts for your app, including activity feeds, and categories. It can also help you with your feature lists, galleries, general lists, login pages, and profile pages. You can quickly bootstrap a demo of your general app interface and then build your software on top of it. Ionic Material is seamlessly themeable. 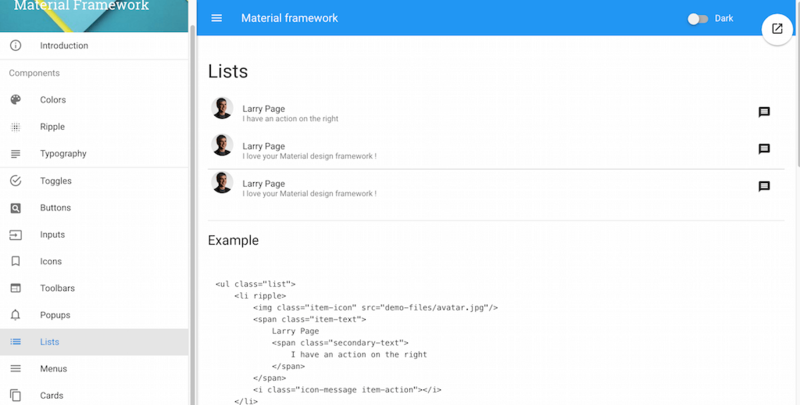 Ionic Material is primarily a behavior library and uses Ionic’s color naming conventions and element classes. Detailed down to the pixels of the specs, Ionic Material aims at following Google’s guidelines for motion, ink, and depth. As new components and layouts are added to the library, you’ve ensured quality attention to the material design specs. 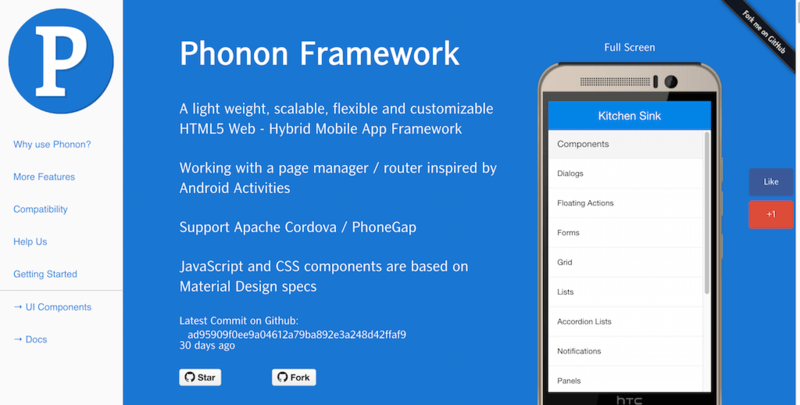 Phonon Framework provides a concise solution for building HTML5 mobile apps using hybrid framework technology. Phono’s strong side is its good intuition for rapidly scaling your apps where you want them to be. It is also a user interface library that gives you quick tools for making interfaces on the fly. Phonon comes to roughly 24kb in size when fully minified and optimized. This is one of the main reasons mobile developers use Phonon. That is way below what you’d see in frameworks like Ionic or Onsen! Wow! Really this is a great insight Alex. Already there are many technologies in web application development but still new technologies are also evolving day by day. At the same time, old technologies are getting updated frequently. In my point of view, angular is an evergreen technology when web development is concerned. They are releasing updated versions frequently, so angular can be adapted easily.